NOU is a result of a schoolproject in my second year. The assignment was to develop a telecom company from scratch. We did research on what we thought was relevant and from that research we created our own values for our telecom company, fun and safe. NOU is a true friend for his costumers and stands for fun and security. These values came out of the user research we did on our target audience which where stundents who just wanted to have fun and didn't want the struggle of complicated contracts on there phone and focussed on having fun. 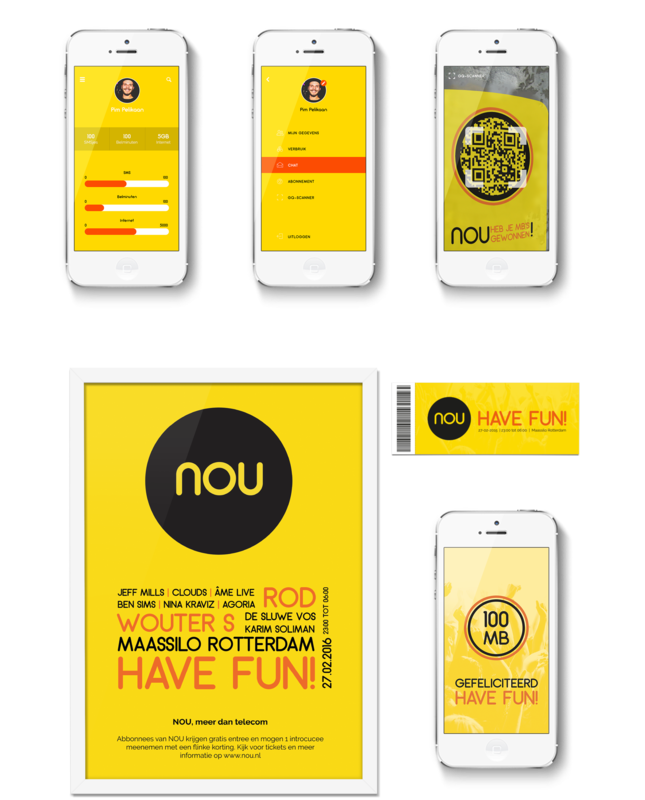 We came up with 3 different touchpoints and a strong brand identity for NOU. 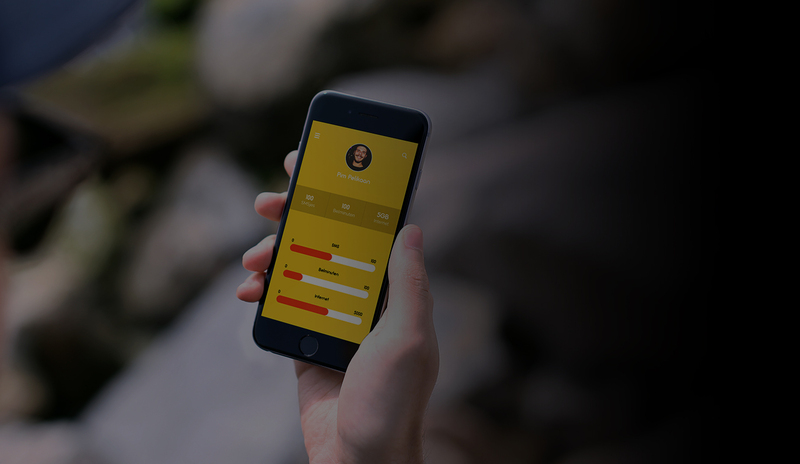 Because NOU is a fun and easy company we designed a simple app where you can see al the data from your phone use and bills. Beside that, we created a outdoor game where you can win extra data for you phone and NOU would organise the most awosome party's for there costumers. When you scroll down you can see the branding and app design we did for our telecom company NOU.